12.26% of Doncaster is Built on … Building Plot Dilemma or Not? Well the fallout from the recent Budget is still continuing. 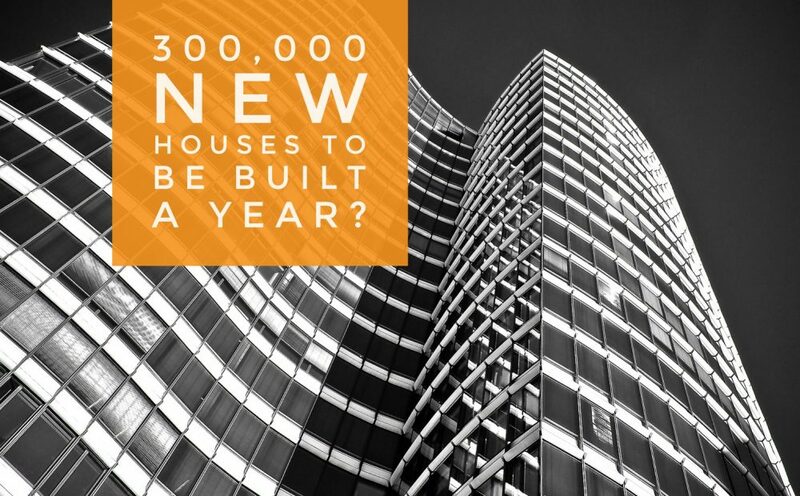 I was chatting to a couple of movers and shakers from the Doncaster area the other day, when one said, “There isn’t enough land to build all these 300,000 houses Philip Hammond wants to build each year”. As my blog readers know, I always like to ask the important questions relating to the Doncaster property market. If you are a Doncaster landlord or Doncaster homeowner, this knowledge will enable you to make a more considered opinion on your direction and future in the Doncaster property market. Like every aspect of all economic life, it’s all about supply and demand, because over the last twenty or so years, there has been an imbalance in the British (and Doncaster) housing market, with demand outstripping supply, meaning the average value of a property in Doncaster has risen by 234.25%, taking an average value from £36,200 in 1995 to £121,000 today. What proportion of the whole of Doncaster is built on? 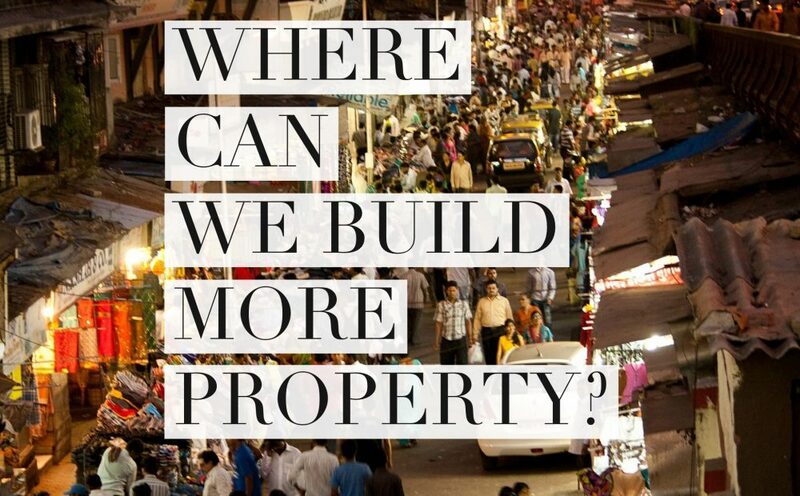 How much land is intensively built on locally? So how is the land used locally? …the rest being made up of various other minor types such as pastures, forests and waterways, etc. Doncaster and the surrounding areas are greener than you think! In fact, I read that property covers less of the UK than the land revealed when the tide goes out. The assumption that vast bands of our local area have been concreted over doesn’t stand up to inspection. However, the effect of housing undoubtedly spreads beyond its actual footprint, in terms of noise, pollution and roads. In fact, I was only flying home recently back from a short break abroad, when I looked down and I was reminded just how green Britain actually is! The bottom line is Doncaster people and the local authorities are going to have to put their weight into building more homes for people to live in. There is going to have to be some give and take on both sides, otherwise house prices will continue to rise exponentially in the future and Doncaster youngster’s won’t be able to buy their own Doncaster home, meaning Doncaster rents and demand for private rented accommodation in Doncaster can (and will) also grow exponentially. Nationally, the number of new homes created has topped 217,344 in the last year, the highest since the financial crash of 2007/8. 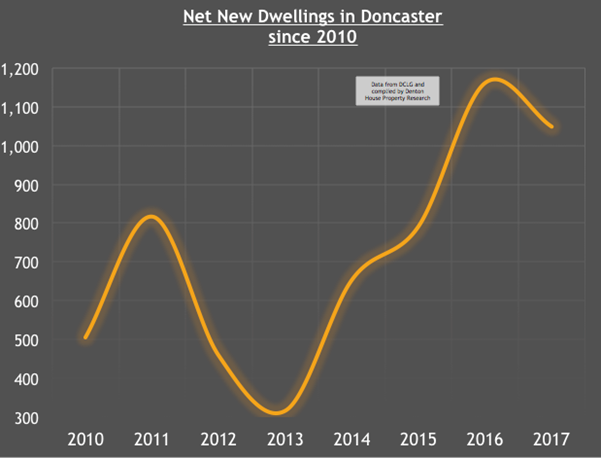 Looking closer to home: in total there were 1,049 ‘net additional dwellings’ in the last 12 months in the Doncaster Metropolitan Borough Council area, a very decent increase of 107% on the 2010 figure. The figures show that 91% of this additional housing was down to new build properties. In total, there were 954 new dwellings built over the last year in Doncaster. In addition, there were 87 additional dwellings created from converting commercial or office buildings into residential property and a further 12 dwellings were added as a result of converting houses into flats. While these all added to the total housing stock in the Doncaster area, there were 4 demolitions to take into account. I was encouraged to see some of the new households in the Doncaster area had come from a change of use. The planning laws were changed a few years back so that, in certain circumstances, owners of properties didn’t need planning permission to change office space in to residential use. With the scarcity of building land available locally (or the builders being very slow to build on what they have, for fear of flooding the market), it was pleasing to see the number of developers that had reutilised vacant office space into residential homes in the local council area. Converting offices and shops to residential use will be vital in helping to solve the Doncaster housing crisis especially, as you can see on the graph, that the level of building has hardly been spectacular over the last seven years! It’s now been a good 12/18 months since annual rental price inflation in Doncaster peaked at 2.3%. Since then we have seen increasingly more humble rent increases. In fact, in certain parts of the Doncaster rental market over the autumn, the rental market saw some slight falls in rents. So, could this be the earliest indication that the trend of high rent increases seen over the last few years, may now be starting to buck that trend? 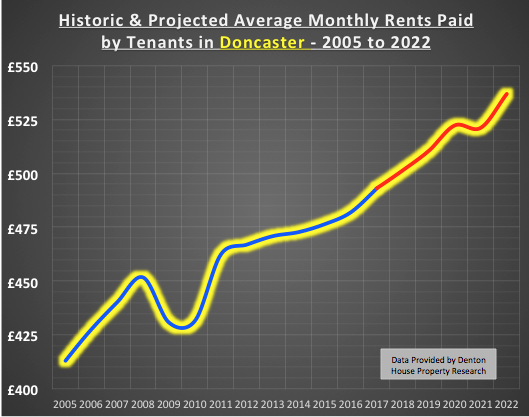 Well, possibly in the short term, but in the coming few years, it is my opinion Doncaster rents will regain their upward trend and continue to increase as demand for Doncaster rental property will outstrip supply, and this is why. The only counterbalance to that improved rental growth would be to meaningfully increase rental stock (i.e. the number of rental properties in Doncaster). However, because of the Government’s new taxes on landlords being introduced between 2017 and 2021, that means buy-to-let has (and will) be less attractive in the short term for certain types of landlords (meaning less new properties will be bought to let out). Anecdotal evidence suggests, confirmed by my discussions with fellow property, accountancy and banking professionals in Doncaster, that Doncaster landlords are (instead of selling up on masse), actually either (1) re-mortgaging their Doncaster buy-to-let properties instead or (2) converting their rental portfolios into limited companies to side step the new taxation rules. The sentiment of many Doncaster landlords is that property has always weathered the many stock market crashes and runs in the last 50 years. There is something inheritably understandable about bricks and mortar – compared to the voodoo magic of the stock market and other exotic investment vehicles like debentures and crypto-currency (e.g. BitCoin). Rents in Doncaster over the next 5 years will rise by 8.9%, taking the average rent for a Doncaster property from £493 per month to £537 per month. To put all that into perspective though, rents in Doncaster over the last 12 years have risen by 19.4%. 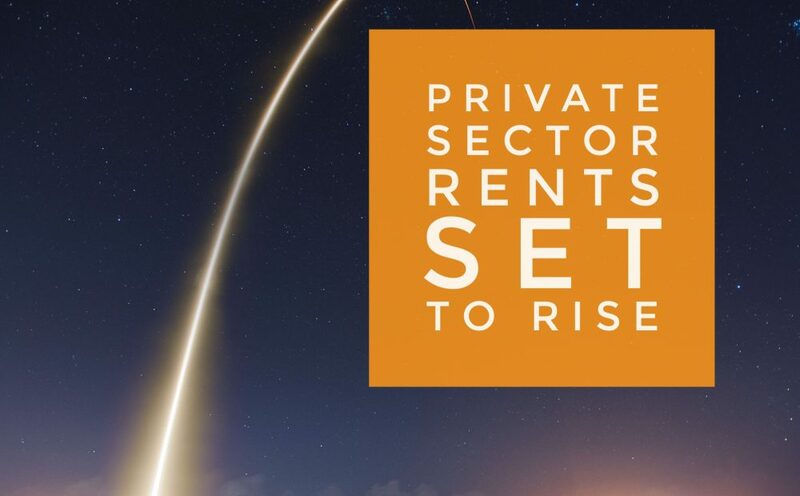 In fact, that rise won’t be a straight-line growth either, because I have to take into account the national and local Doncaster economy, demand and supply of rental property, interest rates, Brexit and other external factors. In the past, making money from Doncaster buy-to-let property was as easy as falling off a log. But with these new tax rules, new rental regulations and the overall changing dynamics of the Doncaster property market, as a Doncaster landlord, you are going to need work smarter and have every piece of information, advice and opinion to hand on the Doncaster, Regional and National property market’s, to enable you to continue to make money. One place for that information is the Doncaster Property Market blog.